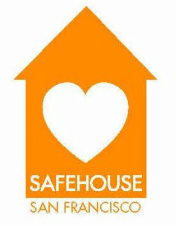 SafeHouse was founded in 1998 by Rev. Glenda Hope, a Presbyterian minister, known for decades of service to the poorest neighborhoods in the city. Rev. Hope began SafeHouse in response to a series of brutal murders and assaults upon prostituted women in the mid 1990s. She worked in collaboration with Sister Rosina Conrotto, of the Sisters of the Presentation, an order of nuns also focused on society's discarded, overlooked people. While SafeHouse was founded by women of faith, there is no effort to proselytize. Long before "trafficking" became a media issue, we have reached out marginalized women on the street. Since its founding, SafeHouse has served over 350 women and successfully created a healing space that addresses gender-specific trauma, homelessness and substance abuse. The women that we have served and continue to serve are a testament to the possibility of overcoming obstacles and making major changes in their lives. Please join us in being part of this amazing journey!